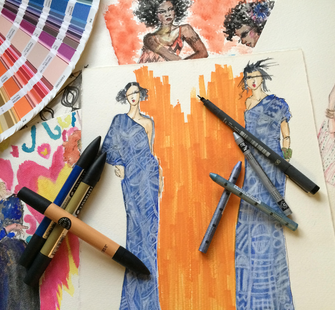 The perfect class for aspiring fashion designers! As students design their own collection, they will learn various fabrication techniques ranging from patterning all the way to the finished look and bring one of their designs to life. The week will culminate with a showcase of their sketches, fabric designs, and collection inspirations, as well as a runway display of their finished ensemble.